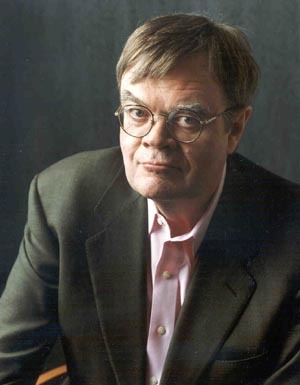 Renowned humorist and host of "A Prairie Home Companion" Garrison Keillor will bring his one-man show to the Santa Cruz Civic on Wednesday, May 13, at 7:30 p.m. For ticket information, call (831) 459-2159 or go to santacruztickets.com. An ode is a poem that is written for a special occasion or about a particular subject-filled with noble sentiment and enthusiastic emotion. Community members are invited to submit their best "Ode to Santa Cruz" for a chance to win a pair of tickets to attend the May 13 UCSC Arts & Lectures performance of An Evening with Garrison Keillor at the Santa Cruz Civic Auditorium. Renowned author and host of A Prairie Home Companion Garrison Keillor will read the winning poem onstage during the show. Submissions should be no more than one page and must be received by the UCSC Special Events Office by 4 p.m. on Wednesday, May 6. For more information go to: Arts & Lectures or call (831) 459-5003.